Free Lecture: Alain de Botton on "Art as Therapy"
We often hear that art is important, but we're seldom told exactly why. Renowned Swiss-born popular philosopher and essayist Alain de Botton believes art has relevance in answering some of our most intimate and ordinary dilemmas: Why is my work not satisfying? Why do other people seem to have a more glamorous life? How can I improve my relationships? 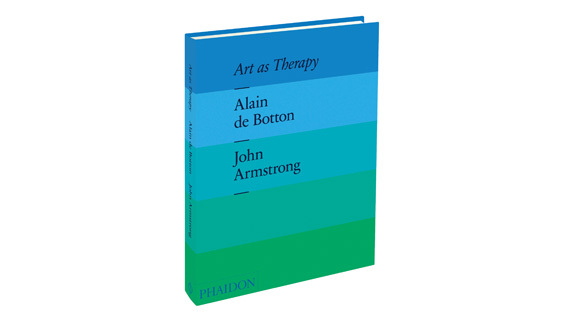 In his new book, Art as Therapy (Phaidon), written in collaboration with philosophical art historian John Armstrong, De Botton introduces a new method of interpreting art, one that argues that certain great works offer clues on managing the tensions and confusions of everyday life. (Vermeer's Girl Reading a Letter, he says, helps us focus on what we want to be loved for.) Using 150 examples of outstanding art, architecture, and design in chapters on love, nature, money, and politics, de Botton aims to guide us to a deeper understanding of art and ourselves. De Botton is the author of best-selling books including The Consolations of Philosophy, How Proust Can Change Your Life, Status Anxiety, and the recent Religion for Atheists. He founded the School of Life in London in 2008, which focuses on developing good ideas for everyday life in the form of courses, classes, and talks. Art as Therapy is available for signing after the program.